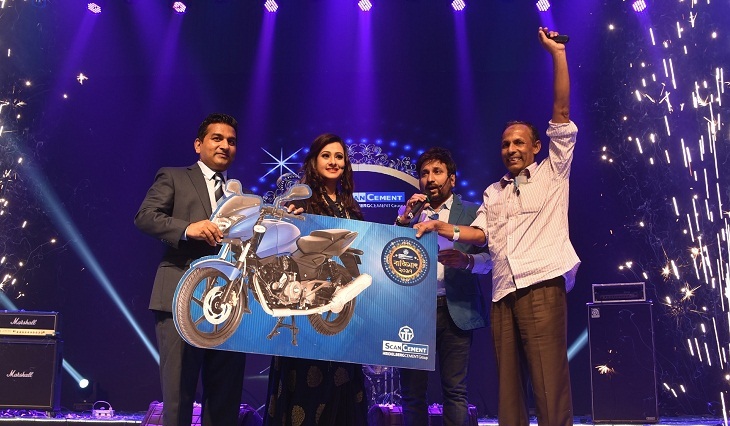 Recently, Dealers of Heidelberg Cement Bangladesh Ltd. organized a grand event “Scan Cement Bajimat 2017” with the retail partners of its popular brand Scan Cement at International Convention City, Basundhara, Dhaka. Syed Abu Abed Saher, Director- Marketing & Sales of Heidelberg Cement Bangladesh Ltd. along with other high officials and business partners were present at the event. It is worth to be mentioned that famous film star Piya Bipasha, Nusrat Faria, Bidya Sinha Saha Mim, Mahia Mahi, Arefin Shuvo and popular singer Ayub Bacchu and band Souls performed at the event. More than 2100 dealers and retailers were also present at the event.